Nissan's unprecedented sales growth attributed to bold designs, strengthened business operations, and a robust product lineup tailored specifically for Canada. MISSISSAUGA, ONT. – In just over nine months, Nissan reached the 100,000 vehicle sales milestone in Canada, tracking an increase of 11.5 percent, calendar year-to-date. Just three years prior, Nissan's Canadian sales totaled approximately 80,000 units per annum, but demand for Nissan and Infiniti vehicles has continued to be strong with 26 months of record sales growth, as both line-ups provide Canadian consumers with exceptional choice and value. Market share has consistently increased, and as of the end of September, Nissan Group accounts for 6.8 percent of total industry volume in Canada, compared to 4.9 percent in 2012. 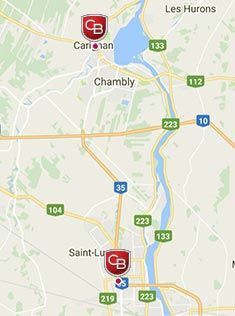 "Last year we implemented a five-pillar strategy to focus the team's efforts to effectively build our business here in Canada, and it's working," said Christian Meunier, president of Nissan Canada, Inc. "The key elements are simple. Exceptional product. Distribution reflective of Canada's regional differences and needs. A strong brand. A cohesive partnership with our dealers. And ultimately, growing our loyal customer base. The team's steadfast commitment to this approach has provided a foundation for our growth, and we're continuing to build on this success." 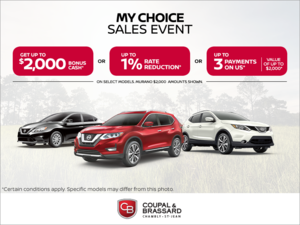 With a year-over-year increase of 11.9 per cent calendar year-to-date, the Nissan line-up continues to be a strong choice for Canadian consumers looking for an exceptional product offering great value. The new Nissan design direction – seen on the all-new Maxima and Murano - mirrors the strength, power and capabilities of the engineering and innovation that serves as the foundation of every Nissan vehicle. Sales of Nissan's top-seller, the Rogue crossover, are up 23.4 percent this year with 22 months of record sales, and for three months this year was one of the top 10 vehicles sold in Canada. For 2016, the Rogue adds to its already impressive suite of available safety, security and convenience features with the addition of available Forward Emergency Braking (FEB), Siri™ Eyes Free and new telematics services. A new Rogue SV Special Edition is also available, providing additional features Canadians want such as heated seats and intelligent key with push button start, at a lower price point. "The designers at Nissan have done an exceptional job of providing edgy, modern designs that excite buyers and turn heads, maintaining those elements from our concept cars which add to the overall appeal of driving a high-value, top-quality vehicle," says Meunier. "Dynamic design is only one part of the formula propelling our sales success. Nissan's products have never offered more value for the customer and, adding to that, we're proud to offer Canadians vehicles which have been tailored for Canada. 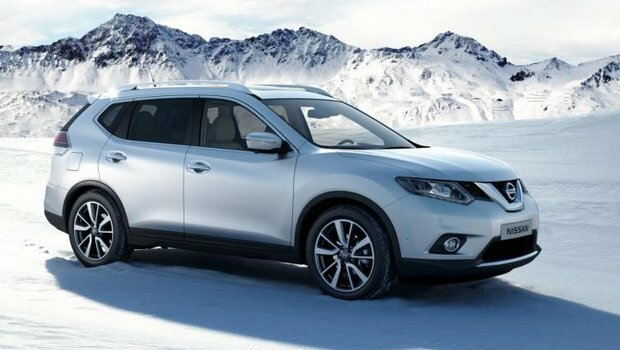 This is punctuated by our versatile all-wheel drive line-up including Rogue, Murano, Pathfinder, JUKE, and the Infiniti models offering Intelligent All-Wheel Drive System." The Nissan Murano created the CUV segment when it was launched in 2003, and with the full redesign based on the Resonance Concept for 2015, it continues to set the benchmark for style and functionality in the segment. This boldness has resonated with Canadian consumers and sales have doubled so far this year. The iconic Nissan Maxima is also all-new for 2016, surging sales by 75 percent this year, while the Micra continues to boost incremental growth with almost 10,000 units sold so far this year! "Looking ahead, we have an influx of new and redesigned models which will help sustain the interest in our line-up and bring in new customers, including a redesign on core models like Altima and Sentra within the next six months. As well, the much-anticipated all-new Nissan Titan full-size pickup truck will allow us to compete in the crucial truck market here in Canada," added Meunier. With strong, consistent growth across the line-up, Infiniti recorded its all-time best month in September with sales up 22.6 percent. The QX60 luxury crossover continues to be the top seller and with a refresh for 2016, the popularity of this vehicle is expected to grow. In retailers now, the 2016 QX50 offers new exterior styling and an extended wheelbase and roomier interior, make it even more practical. At the same time, it has the heart of coupe with exceptional driving dynamics and performance. "Infiniti is an important part of our overall growth in Canada and the line-up continues to expand with new models such as the all-new Q30 active compact and QX30 premium compact crossover," said Meunier. "These exciting new models will allow us to compete in the important premium compact segment when they arrive in 2016.